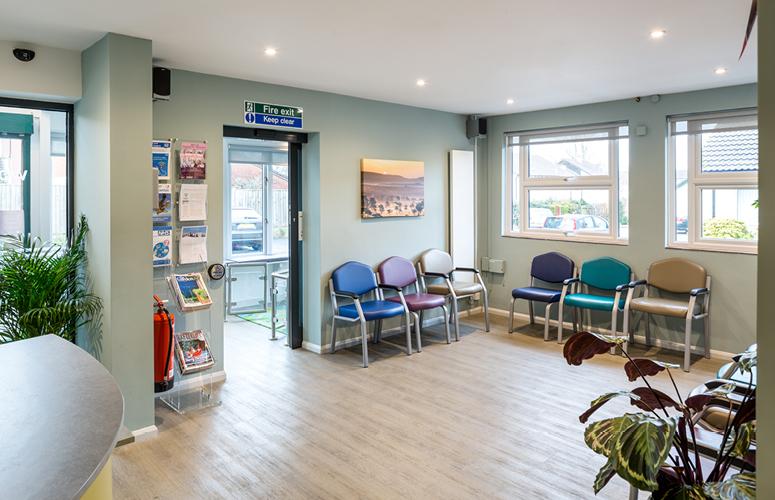 The refurbishment has transformed the patient and staff areas of this busy dispensing surgery. 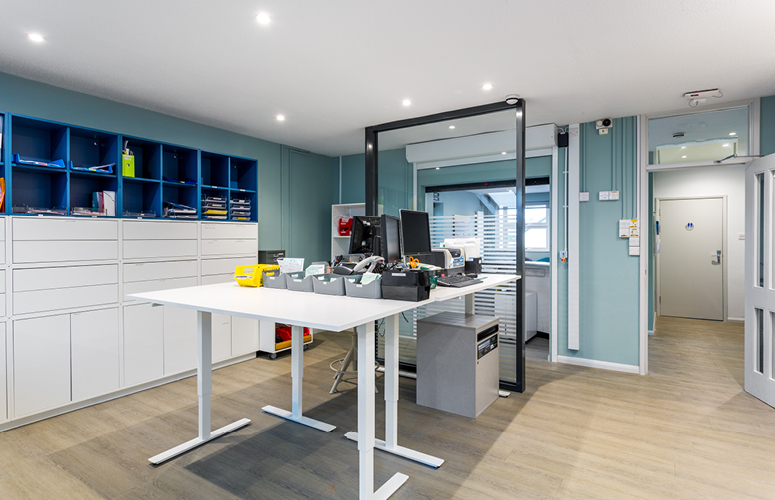 It has provided flowing entrance lobby and waiting area, including a dedicated kids play area, with organised wall displays for leaflets, posters and magazines. The electronic check-in screen is located in a prominent position with signage to make it easy for patients to use. 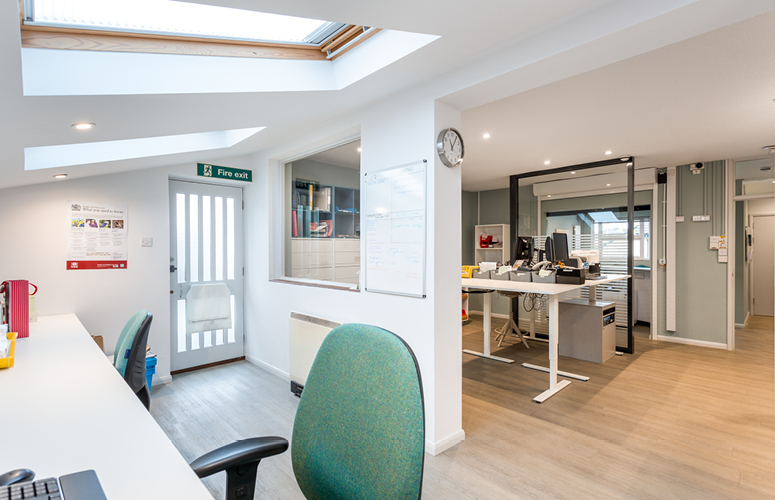 The reception now offers a contact point for patients with easy access for staff working in the office. 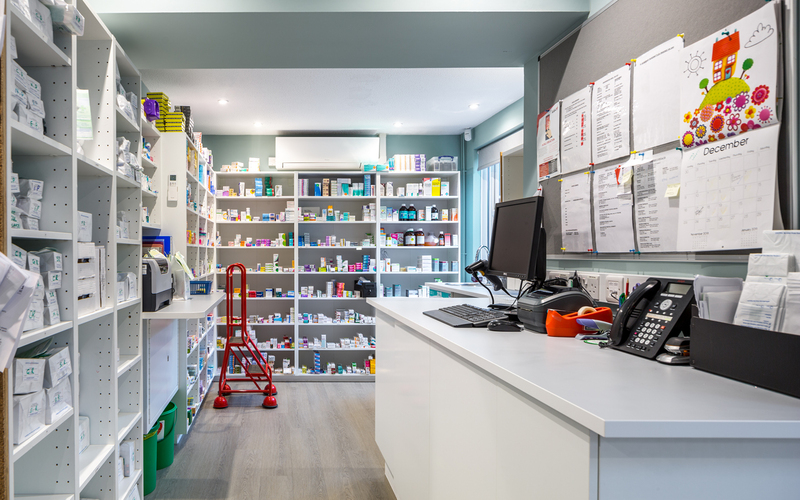 The dispensary and office have been combined with dedicated areas for each function, allowing the process of prescription printing, dispensing of medicines, packing and collection. Storage has been reduced and made much more efficient due to the surgery making the move completely digital notes system. Height adjustable standing desks have been incorporated to allow for a more modern way of working. A quiet working area and printer station have been positioned at the rear of the office. Privacy has also been retained with a glazed screen and shutter. 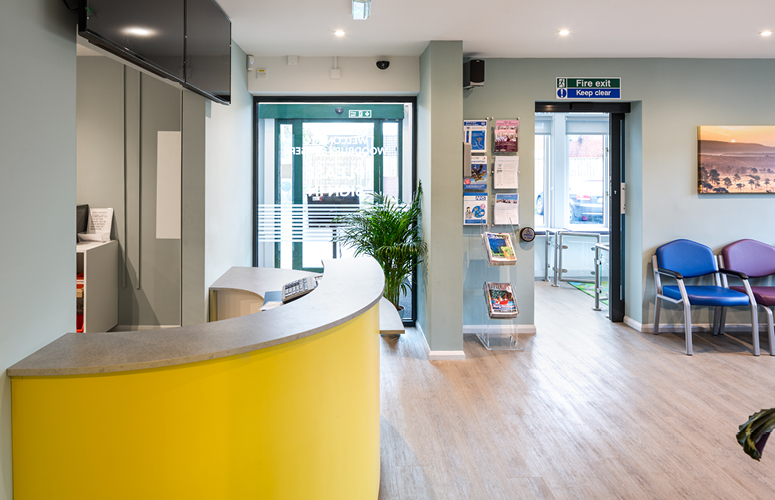 The entrance lobby and waiting area were lightened up with bright new white ceilings and feature colours of jade and soft mustard to add interest but not overwhelm the patients who require a calm area to wait. 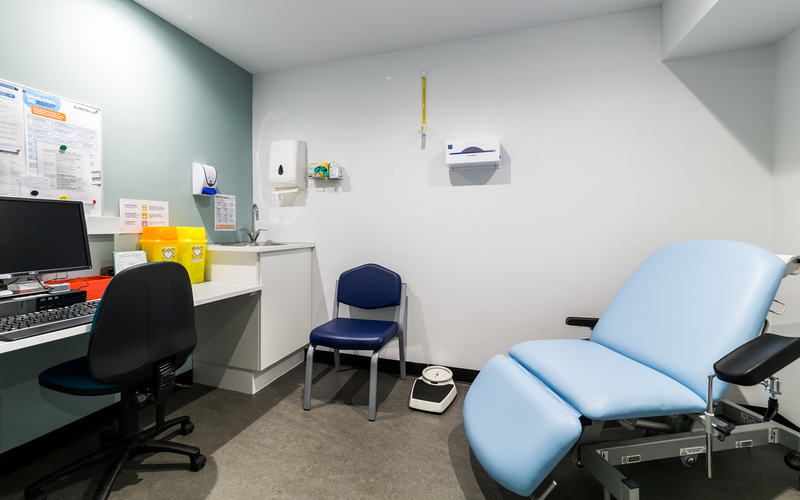 The result is a much calmer experience for patients, with improved waiting times, less queuing and a more efficient working process for staff. Space has been used more wisely and patients are able to communicate with staff easily. 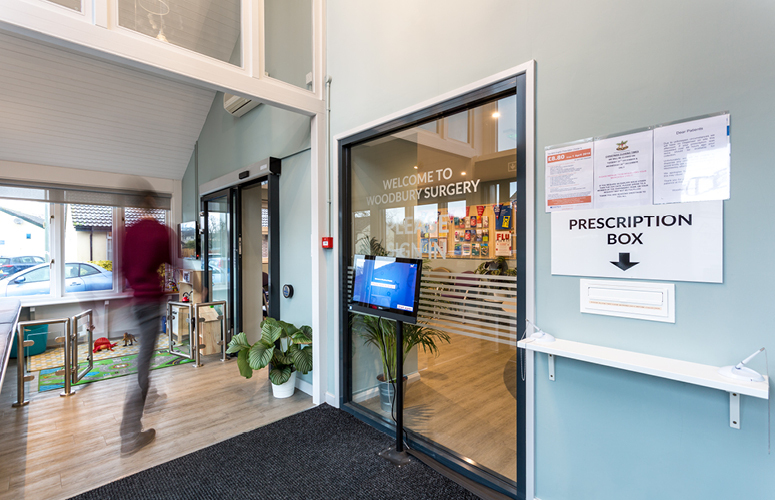 Digital screens in the waiting areas offer more information for patients and the new location of the prescription drop off box to the entrance lobby has enabled staff to use their time more effectively and allowed the office to work much better for the flexible staff role system. 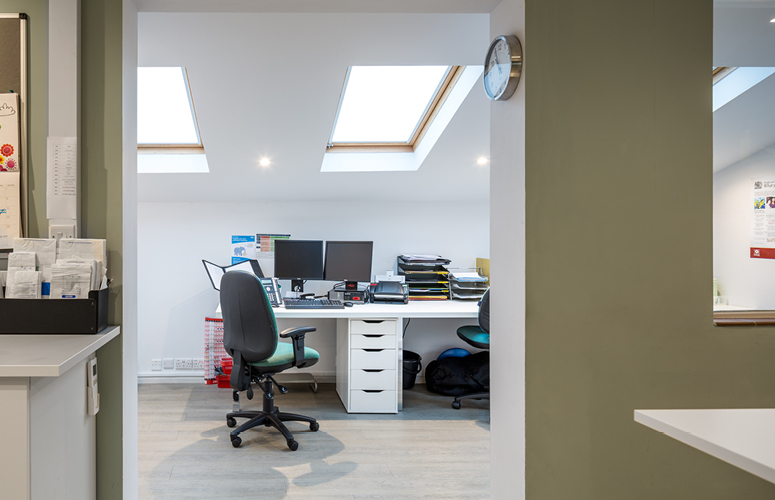 The doctors are passionate about providing not only a great service but also a great experience to all their patients which the new surgery space enables.